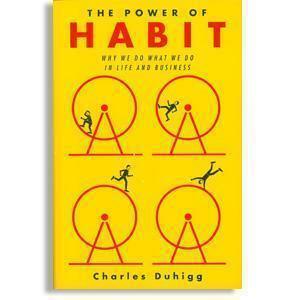 In our last post, we looked at the Golden Rule of habit change, according to Duhigg. If you can identify the cues and rewards of a habit loop, you can change the routine. That is the case most of the time. But for some habits there’s one additional, necessary ingredient. To illustrate, Duhigg points to the dynamics of habit change for members of Alcoholics Anonymous. What is it that makes participation in this group such an incredibly successful path to habit change, Duhigg asks. Summarizing the findings of a group of researchers, Duhigg is worth quoting at length. “It was belief itself that made a difference. Once people learned how to believe in something, that skill started spilling over to other parts of their lives, until they started believing they could change. Belief was the ingredient that made a reworked habit loop into a permanent behavior” (Duhigg, 85). In short, you need the capacity to believe that things can get better. When you’re surrounded by people that are walking proof that there is a path to change, it may be easier to believe that things can get better. And therein in lies the power of group dynamics. Even if you don’t believe that you can make a permanent change to your habit patterns, a group has the power to, at times, believe for you or, at the very least, cause you to suspend your disbelief until you actually internalize it. So how do we practice this? Sometimes the hardest part of changing habits and changing our lives for the better is firmly grabbing ahold of a belief in ourselves and the people around us that change can happen. At FIT, our goal is to create an environment where we, as trainers, are genuinely optimistic that everyone that walks through our day and commits to their program can experience positive change. And the great thing is that FIT has lots of people that have been training with us for years and are walking proof that progress is possible. So if even if you’re doubting, tell someone at FIT about the health habits you want to create. We can help you find the resources, the support, and maybe even the belief to make permanent changes.